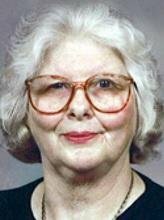 WATERLOO — Mary Ellen Boehmke, 74, of Liberty Manor Apartments, died Monday, Dec. 6, at Parkview Nursing & Rehab Center of cancer. She was born April 16, 1936, in Packard, daughter of Ecko and Grace Mehmen Reysack. She married Frederick J. Boehmke on April 24, 1960, at St. John's Lutheran Church, Arlington. He died Oct. 5, 1974. Mrs. Boehmke graduated from Dumont High School and was a homemaker. Survived by: three daughters, Kim (David) Heath of Cedar Falls, Debra (Kurt) Sanger of Muscatine and Judy (Brad) Dubois of Waterloo; six grandchildren, Dacen Dierks, Korey Sanger, Darci Sanger, Jennifer Dubois, Julie Dubois and Christopher Dubois; three great-grandchildren; three brothers, Harry and Bill (Jan) Reysack, both of Dumont, and Dale Reysack of Klemme; and six sisters, Dorothy Leake of California, Ella (John) Greco of Oelwein, Lenora (Orville) Ott of Readlyn, Marlene Harkin of Fairbank, Grace Bandy of Waterloo and Barbara (Harry) Harms of Hampton. Preceded in death by: her parents; and a brother, Ecko Reysack. Services: 11 a.m. Friday at Ascension Lutheran Church, Waterloo, with burial in Greenwood Cemetery, Cedar Falls. Public visitation from 4 to 6 p.m. Thursday at Hagarty-Waychoff-Grarup Funeral Service on West Ridgeway, and for an hour before services Friday at the church.